The willingness to work on one’s own personality is a prerequisite for the correct handling of horses. A set training method is something which merely limits us as no horse and rider combination is exactly the same. Feeling and knowledge instead of a schematic system – that is my principle. 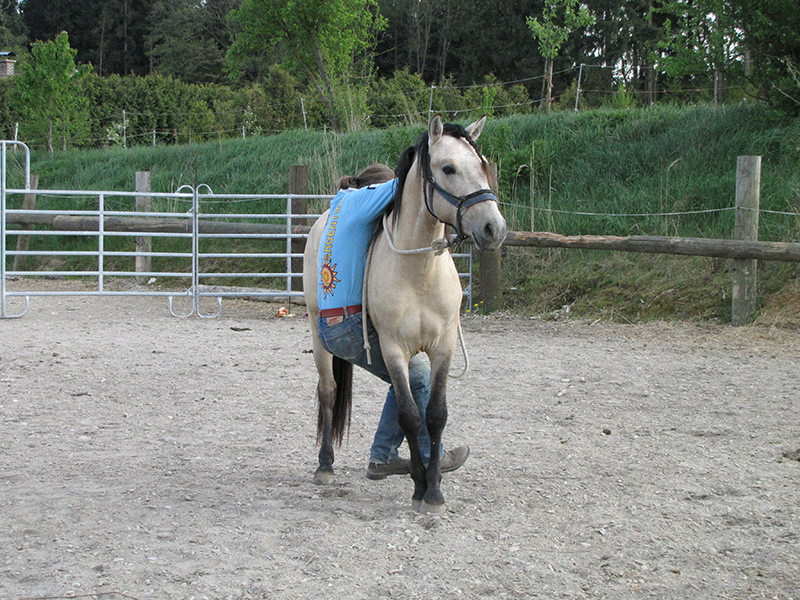 Schooling a horse under saddle places a high demand on the trainer to behave like a very good animal trainer. The correct execution of behaviour patterns as a learned reaction to signals – where is the difference? 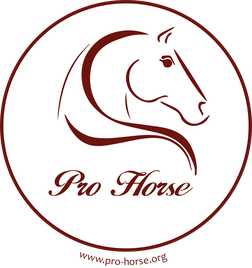 If the horse bends to the right in reaction to a minimal pressure on the right rein, this is a result of correct animal training. It is the same as a dog which in a dependable an immediate manner sits down when the commando is given. Not more and not less. The attempt to explain the successful training of horses by categorising it as “horse whispering” is dubious and should be rejected. 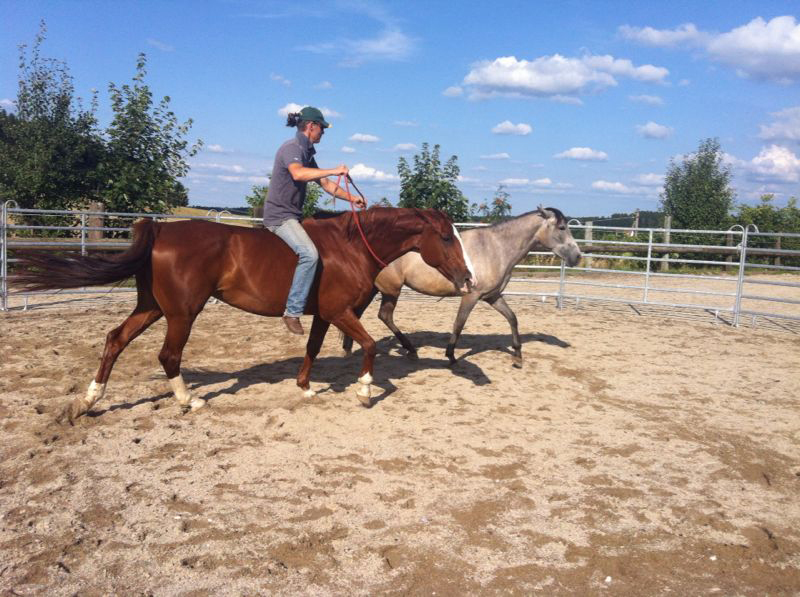 It is my aim to explain to my horses what I want from them using simple principles, just like I do with my students. How learning takes place has been researched extensively. One can understand the necessary basics with the required commitment and concentration without much effort. In practice, I use these basics to direct behaviour patterns into the desired form and to strengthen them using timing, motivation and the appropriate shaping. No nebulous hocus pocus but instead an understandable and verifiable approach which is ultimately only limited by the talent of the individual. What we need is a willingness to work on our own personalities in order to create a soft feel for the horse. 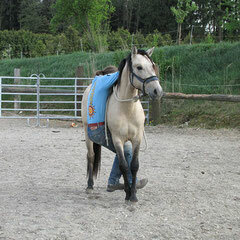 Any kind of fixed training method restricts us, because there is no combination of horse and rider, that is the same. is the goal of my teaching.